The internet giant is peeved - they already said they'd pay more US taxes. On the same day that Amazon announced an entirely unfeasible plan to deliver packages via unmanned drones, a potentially far more important piece of news almost got lost in yesterday’s marketing maelstrom. The US Supreme Court threw out an appeal by Amazon and fellow online retailer Overstock.com against a New York state ‘Amazon law’ that would require them, to pay state sales tax. Amazon argued that it shouldn’t have to pay out, as it doesn’t have any physical presence in New York, as per a federal law. However, a ruling that Amazon has an ‘in-state sales force’ - local businesses it partners with to advertise itself - was upheld. Amazon said in a court filing that the New York edicts ‘subject internet retailers to significant burdens of pain on serious civil and criminal penalties’. While MT can’t see that the internet giant is going to be literally writhing in agony, you can understand why Amazon might be a bit upset – it’s been throwing open its arms to US taxes. 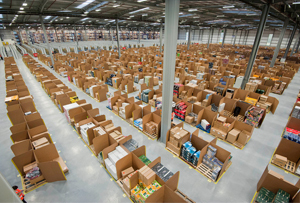 Amazon agreed to pay sales tax in 16 states where it has distribution centres, including California and New Jersey. Bezos even publicly backed the proposed ‘Marketplace Fairness Act’ in February, which will force online retailers with yearly sales of $1m or more to collect sales tax in every state. New York’s regulations throw a bit of a spanner in the works for their attempt at tax-loving. US states lost an estimated $23bn (£14bn) in uncollected tax from out-of-state sales in 2012 - New York is short of around $1.8bn, according to National Conference of State Legislatures. With all that consumer cash streaming online, it’s no surprise that governments are trying their luck with legislation. The ruling may also inspire European countries to follow suit with new laws, following months of griping by governments and the media over what they see as Amazon, Starbucks and Google’s tiny tax burdens. Amazon, which legally reports its European sales in Luxembourg, was lampooned in May for paying £2.4m corporate taxes in the UK in 2012, despite sales of £4.3bn. While bricks and mortar retailers have, unsurprisingly, been lobbying hard for higher taxes on online retailers, and France passed a law in October to protect its beloved independent booksellers from Amazon, the floodgates opened long ago. Governments just need to figure out a sensible way to ride the tide.